If you’ve been in the marketing or SEO space for very long, then you’ve most likely heard many times that backlinks are essential to a website’s rankings on the search engines. While it is true to some degree that backlinks will ultimately help a website rank higher in the SERPs, it is very important to understand that many of the methods to building backlinks that exist online, are very outdated, and many of the practices some places teach will harm your rankings more than helping them. A few years ago, the backlink was considered one of the biggest ranking signals for search engines. Basically, if a site had a plethora of other sites pointing back to various pages, it was perceived as an awesome site that would rank well in the search engines, specifically for keyword terms that were used within the backlink. But the search engines soon discovered that many of these backlink sites were nothing but spam laden sites that provided no value. The reason for this is that many “get rich quick” marketers simply purchased a ton of low value backlinks from “link farm” companies that would go out and place tons of links on low valued forum sites and in various blog comments. Clearly this technique was leveraging the wordpress system or any site that allowed comments. This is where the Google Penguin Update really came into play as the update scoured many of the sites with low quality backlinks and several webmasters watched their sites disappear off of the search engines over night while marketers who had really developed their content with the idea of helping their audiences saw their sites appearing on the first pages of the SERPs. As mentioned above, once upon a time you could buy all the backlinks you ever wanted and then sit back and watch your website rank on page one of the search engines. Now, if you buy backlinks to your website, most likely all you are going to do is either get your site de-indexed (removed from the search engines entirely) or demoted. Many of the backlinks that you purchase are coming from “Low PR” (i.e. pagerank) valued sites and the ones being offered from “high PR” sites are simply no longer needed in order to rank your site effectively. Honestly, you are playing with fire anytime you purchase backlinks, as all it takes is one poor campaign to really kill your online business. So, How Should You Be Building Your Backlinks Now? Backlink acquisition is no longer considered an important metric when it comes to ranking a website. In fact, they are far less important than providing your audience with quality content that they will then share to their friends and family via social media. Wait, isn’t sharing something the whole purpose of a backlink? Yes, and that’s why social shares are a good form of inbound traffic (this is what backlinks are called now) as it shows the search engines that other people who like similar things as to what your site is talking about, are sharing your site’s content. This makes the search engines look at your site more, and helps it climb the tiers of the SERP ladders. Another great tactic to building successful inbound traffic is to start making videos and posting them to YouTube. Videos are a great way to build up traffic to your site, and they also serve as additional content that you can then embed on some of your posts. This technique is an SEO double whammy as it allows you to create inbound traffic to your site while also developing great content. How can I sit here and tell you that you can rank a website without hardly any backlinks while others are telling you that it is simply impossible? Well, I’ve actually successfully done it, and have done it LIVE in a 4 week case study site that was built in just a few hours with no backlinks to it. I provided relevant content, and saw quite a bit of traffic as well as profits from its development. It currently sees about 5,000 monthly visitors and hold multiple page one positions on the search engines. As you can see above, I am currently in position 1 for my primary search term as well as ranking for multiple other traffic bringing, buyer keywords. Not too bad for a quick little site build. You can follow along with the full training that shows every step I took in order to build it, please feel free to check out here. 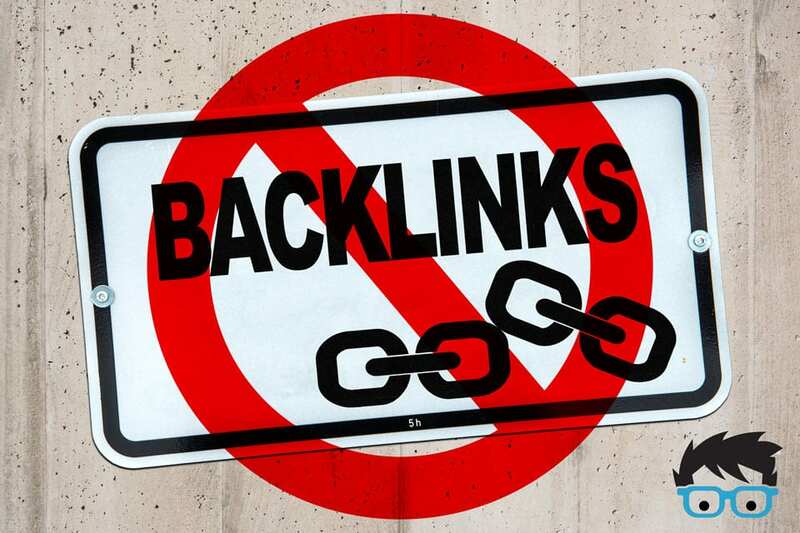 NEVER Buy Backlinks – Just don’t do it!!! Develop Great Content – Your audience and the search engines will thank you! Develop Your Social Presence – This way people can share your content easily. Focus On On-Site SEO – Make certain that your site is easy to view and navigate. Now that understand that backlinks are not nearly as important as they were a few years ago, you’re probably wanting to learn more about building sites the right way and then driving more visitors onto your site. If this is the case, I strongly recommend that you check out the video series and case study that I did on building a quick niche site the right way, as well as jumping in and checking out the community on the site. You can learn many different tactics that will help your online business grow well into the future by providing your audience and the search engines with quality content that will stand the test of time. Often times it is in the best interest of these companies to “tout” the idea of backlinks because that is a big part of their business. They sell products/services relating to backlinks so they need to make the idea of them credible. Jay has shown some very specific examples here of how he didn’t work to get ANY backlinks to his site, yet he has obtained the #1 ranking overall for a fair popular term in Google with a newer website. Often times that case studies you will find in the blogs out there promoting the idea of backlinks are those that have years of authority in search, they have very thorough and high quality content (which is the real reason for the rankings) and they are blogging in a space that is very relevant to their niche. Very infrequently do you see them step outside their OWN niche (which is usually search engine marketing) and provide a case study on backlinks and their benefits. There is a reason Google came down hard on backlinks and anything else that can be manufactured and is entirely gamed. Because, well, it can be gamed. For every company promoting the idea of backlinks, there are real on the ground sites that are showing you that they achieve first page and first overall rankings in Google and other search engines WITHOUT any backlinks. Thanks Kyle for your input. You nailed it with these folks who build case studies, yet don’t go outside of their own SEO niche. Heck, if backlinks are such a HUGE metric, why don’t they start a niche called “buy gold bullion”? Yeah, exactly. The case studies tend to always be centered around their sites, not a niche site like gold bullion, or football snack helmets, or something within the dieting niche. And when they step outside of their niche, it is never their actual sites…it is a site owned by someone else that they could quite easily pay to use as their case study on rankings. I always see backlink services or tools using case studies with their established sites that have incredibly thorough and useful content on it, then they turn around and say that their rankings were simply because they have worked to get some really high quality backlinks. It couldn’t have had to do with your 20,000 word post or your 500 comments on that post? That was a good read Jay! Thanks for the insights! Thanks Nicolas – glad you liked it! Always enjoy reading your posts. I also follow a site called Search Engine Land, and saw this article they recently posted. It is similar to what you are saying in that good, quality content is very important, but they say links will be the determining factor. What is your take on this? Here is that article I was referring to. Great to see you chime in here. The premise of my article here is that backlink acquisition is a dead technique and the sheer volume of backlinks is not a metric worth considering as the effort in creating content that gives your readers an awesome user experience to the point where THEY want to share your content with others. Kinda like how Search Engine Land shared Eric Enge article on their site. It can become frustrating at times as it seems like an uphill battle when talking about backlinks. There are a plethora of sources that people rely on and consider them the only way to go. I know all about the old days of when you could have backlinks but the Google update wiped out 5 of my websites and they disappeared into the abyss. Was I wrong to use them? At the time no, as I never used link farms and only searched for high ranking sites but there was software involved which is now redundant. Now I don’t bother anymore, well I don’t even think about it, I let other people share my content if they like what I provide. Nowadays I focus on the content and what that provides to my readers.